Watch chefs Mark McCrowe and Andie Bulman make masterpieces from a pile of leftovers. Chris Bulman is a man with many excellent qualities: he can build a deck, proofread your history papers, and deliver a calf. Cooking, however, has never been one of his strengths. When Dad was in charge of supper, we wound up eating what he called "goulash." Goulash, in reality, is a traditional Hungarian dish of beef simmered in broth and wine, dotted with handmade noodles and spiked with paprika. It is a beautifully rich, hearty meal. Dad did not make traditional goulash. Chris Bulman's "hash" was comprised of whatever detritus he found in the fridge. Kraft Dinner, boiled hot dogs, wilted greens, old boots, hard, dry cheese, and whatever else he could find. Leftovers remind me of my father's cooking and my father's cooking reminds me of prison food. So, I was hesitant when CBC asked me if I wanted to do a leftover turkey challenge with chef Mark McCrowe. After some thought, I realized it was the perfect avenue to help me over the hurdle of hating leftovers. 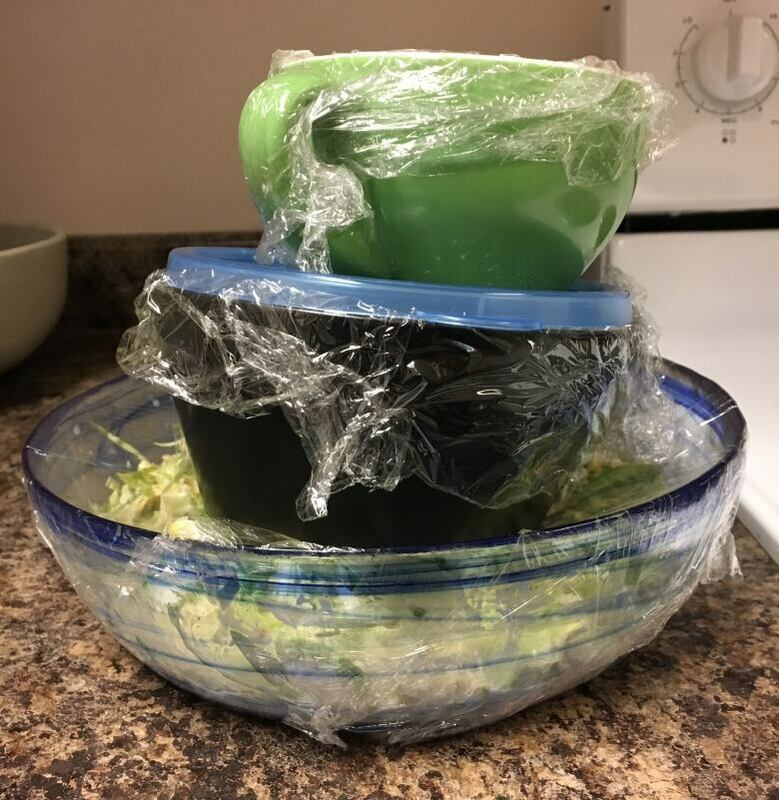 After all, only the most irresponsible and bourgeois person would throw out food in 2019, so learning to embrace leftovers is a worthy idea. The rules for this challenge were simple: we would both be given cooked turkey and we were each asked to prepare two dishes using it. The dishes we created reflected our styles. Mark loves leftovers and looks forward to the sandwiches and stews that follow a turkey dinner as much as the main meal. He's also a big personality and his flavours tend to be bright and bold. 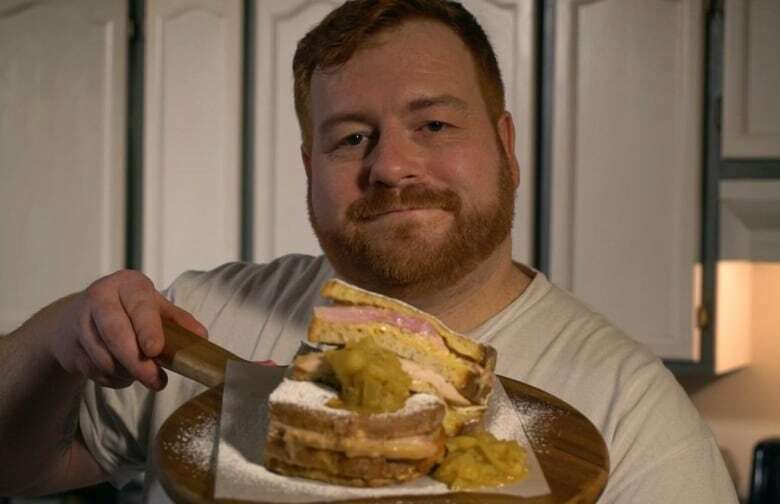 Mark started off with a double-decker Monte Cristo sandwich. He buttered two thick, gorgeous slices of sourdough, put ham between them, and then made a second sandwich with turkey. He stacked the two sandwiches atop each other and dipped the whole thing in beaten eggs. Then he pan-fried the monstrosity to a golden brown, dusted it with icing sugar, and served alongside a quick apple chutney. The icing sugar gave me pause. I mean, I am all about trying new things, but sugar on a sandwich? Next, he made a gumbo — a one-pot wonder of turkey, shrimp, and sausage topped with dried sassafras. He began with an oil-based roux, letting it cook until it turned the color of peanut butter. I was a bit surprised. I've made gumbo a few times and I always use butter, but Mark pointed out that authentic gumbo usually has an oil base because butter tends to burn, and the oil gives it the traditional dark color associated with the dish. Both his dishes were bold, delicious, and over the top. I decided to approach the challenge by disguising the leftovers. I wanted no indication that the ingredients were once part of a Sunday feast. I began with turkey samosas, making my dough first. The key to good pastry crust is extremely cold butter. I placed my butter in the freezer for 30 minutes. Ideally, I would do the same with a cheese grater. I always grate my butter into the flour—this is key. Cutting with a fork does not result in the same quality of pastry crust. I also let the dough rest in the fridge. This is essential and helps prevent the pastry from shrinking. Next, I built my filling. I sautéed the same ingredients you'd find stuffed in your fridge on Monday morning: onions, boiled potatoes, sweet potato, and turnip. I put lime zest, jalapenos, and a good amount of garam masala into the mix. Then, I cut out the samosas, placed a spoonful of filling into the center of each, and baked them at 425 degrees for 20 minutes. My second dish, like Mark's, was a sandwich. I wanted this to lean in the direction of a holiday dinner, but also be its own, new thing. 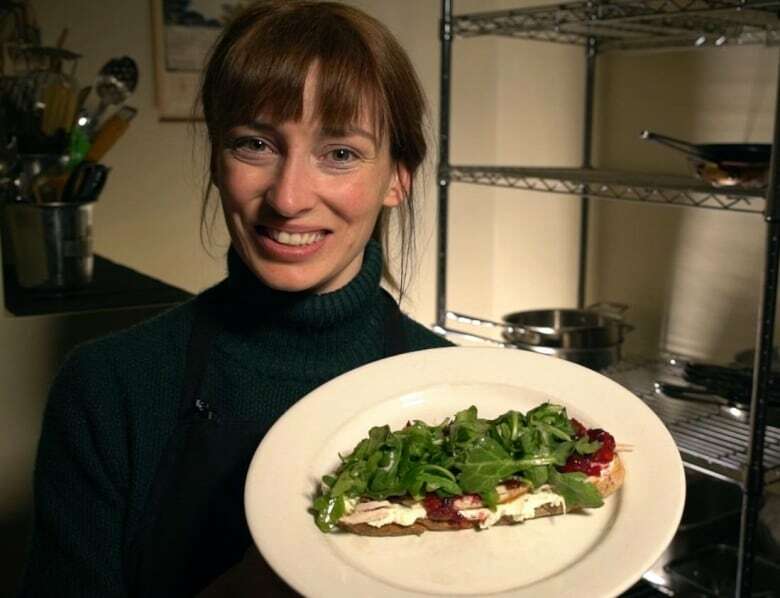 I made an open-faced sandwich with whipped goat cheese, a cranberry compote, the turkey, and arugula tossed in lemon juice, sea salt and olive oil. Some of you have probably been turning your spare turkey breasts into tacos since the 80s, but this exercise in refashioning food was a humbling experience for me. I've finally learned that leftovers are more opportunity than affront, a chance to make something new from the little bit that's left. Nobody ever said leftovers had to be boring. I just grew up with a Dad who can't cook. Andie Bulman is a chef, writer and comedian in St. John's.